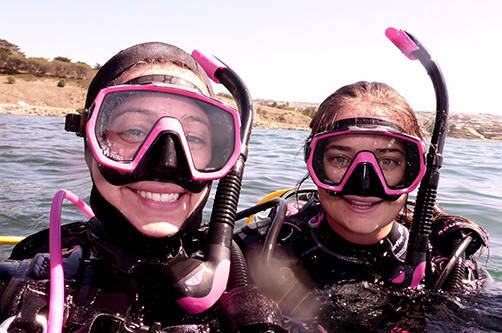 Meet the Diving Adelaide professional dive team! Both our shop and dive team members are all dive professionals with a minimum of Divemaster level, so whoever you’ll meet, you’ll know you’re in good hands! 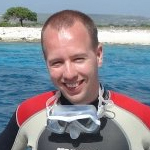 Originally from The Netherlands, Ron took the plunge for his first Discover Scuba Dive over a decade ago while on a holiday with friends on the Caribbean island “Isla Margarita” (Venezuela). Diving instantly became Ron’s biggest passion and, besides doing his Master’s in business economics and entrepreneurship at the University of Amsterdam, he has since travelled the world to quickly progress up the diving ladder. He started by doing his PADI Open Water Diver Course in Egypt, followed by his Advanced in Thailand, his Rescue and a couple of Specialty Courses on Bonaire and finally progressed into the professional levels in 2010 by doing his Divemaster and Technical Extended Range courses in South Australia and his instructor’s course while living on the island of Curaçao! Meanwhile (and since then), working on the marine life bucket list with plenty of fun dives in Egypt, Thailand, Indonesia, Greece, Philippines, Solomon Islands, Tonga, Truk Lagoon, South Africa, Fiji, Iceland, France, Cyprus, Ireland and of course in The Netherlands). Together with Denise, Ron has also lived in Sydney for a year, where he has worked as a full time diving instructor and in recent years he has traveled through all the states of Australia to discover everything the underwater world of this amazing continent has to offer. Denise was lucky enough to start diving at the age of 14 on a holiday to the beautiful Red Sea in Eilat (Israel). Caught by the diving bug other diving holidays and courses were planned in Egypt, Thailand, Curaçao (Caribbean) and Indonesia. 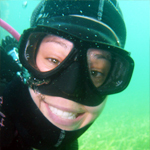 Although Denise had just finished a master’s degree in Archaeology at the University of Amsterdam, she decided to incorporate the diving aspect in her studies and moved from Amsterdam to Adelaide to complete a master’s degree in Maritime Archaeology at Flinders University. It didn’t take long for Denise to enroll in the Divemaster course and enjoy all the diving South Australia has to offer. Together with Ron she went on a “drive and dive around Australia” trip. Apart from Tasmania they enjoyed diving in every mainland state in Australia (Tassie is still on the list!!). 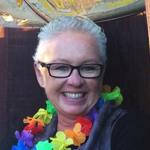 After completing her degree in Australia, Denise lived in the Caribbean where she became a dive instructor and master scuba diver trainer before returning to Australia in 2012. Working as a full time master scuba diver trainer in Sydney provided her with the necessary experience to continue teaching in Adelaide. Recent travels have brought her to the Philippines, Tonga, Fiji, Iceland and France ~ lots of bucket list diving! Sheydin grew up in the Adelaide Hills, however as a surf life saver she has always had a fascination with the ocean and everything that it involves. With a trip to Borneo in 2013, she completed her PADI Open Water Diver Course and fell in love with the underwater world. Shortly after school, Sheydin moved overseas and spent a lot of time working and volunteering outdoors where she found a great interest in the environment. After returning back home, she went on to start her Bachelor of Environmental Science degree at Flinders University. During her study she picked up her love for diving again and took every opportunity to travel and dive overseas. She completed her Advanced and Rescue in Thailand before coming home to complete her Divemaster Course with Diving Adelaide in 2018! 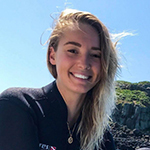 In 2019, she completed a marine research internship in Palau, looking at the world’s largest shark sanctuary and then headed to Sydney to complete her PADI Instructor Course which was one of the most rewarding experiences to date. 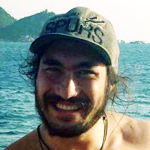 Coming back to Adelaide, Sheydin is now working as our full time dive centre manager and instructor. Lucky enough to grow up with the beaches of the Mornington Peninsula at her doorstep, Jess has grown an obsession with the ocean. A Life Saver from the age of 5 she grew up wanting to explore more and more. Spending most of her life freediving the coasts of her home town, it wasn’t enough! After chasing the snow seasons in Australia and New Zealand, soon enough sunny Queensland became her home. Seeking the next adventure and always knowing she would end up working with the ocean, with no dive experience nor reception background she fronted up to a dive shop in the Gold Coast and landed a job in their Dive Centre, becoming a Divemaster trainee, and hasn’t look backed since. That first feeling of breathing underwater was ecstasy. 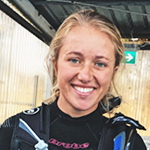 Clocking up her dives and certifications Jess completed her Divemaster course in December 2018 and packed her things to pursue her studies in Marine Biology at Flinders University here in Adelaide, and of course could never miss the opportunity of being amongst what she loves the most, started working with us at Diving Adelaide in early 2019! 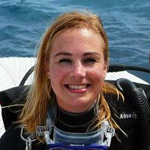 Although Shelley always loved the ocean she never thought she would actually end up diving, but in 2010 her husband and she decided to take the plunge and get their Open Water certification while on honeymoon in Thailand. After falling in love with the experience, dives were only kept to the warmer waters, diving places like the Great Barrier Reef in Queensland, Vietnam, Bali and Brisbane. In 2013 she traveled back to Thailand to complete her Advanced Open Water & Wreck Specialty. Also investing in her own gear that same year meant more diving local spots around South Australia and she really got addicted! In 2014 Shell met Ron and Denise from Diving Adelaide and signed up for her PADI Rescue and Divemastercourses and now loves taking leafy sea dragon tours as she has a keen eye for spotting the tiny critters. Some of her favourite spots are the Rapid Bay and Edithburgh Jetties and she is always looking forward to her and her hubby’s next traveling and diving adventures! Indy grew up in Worcestershire in the UK, loving everything to do the with the sea and swimming from an early age! She started her diving life at the age of 10(!) with a bubble maker course! 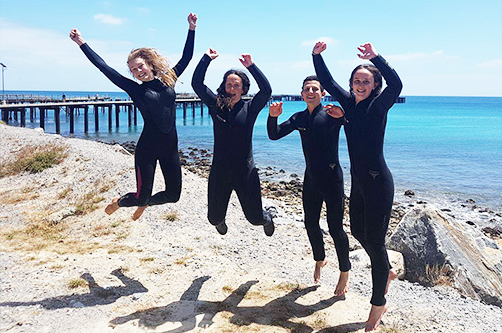 After doing her Junior Open Water in England (and partly in Egypt) at age 13 on a family holiday, she joined her avid diving family, as her parents were keen divers. 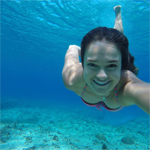 She then went on to become a junior adventure diver in Gozo (Malta) and then completed her Advanced Open Water Diver Course in Fuertaventura in the Canary Islands. She looked into becoming a PADI Divemaster and Instructor whilst at school and it became the dream. After doing a Divemaster internship in Byron Bay and absolutely loving the diving industry, she stayed and worked in Byron as an intern supervisor and Divemaster for another 3 months. Loving the teaching side to scuba diving, she ended up signing up for her instructor course on Gili T in Indonesia and has recently joined the team here at Diving Adelaide! Indy loves meeting new people who want to progress and explore further down all diving avenues! Joe grew up in North Yorkshire in England and has always loved all things to do with the water since he was a child! After always being fascinated by the ocean, he completed his PADI Open Water Diver Course in 2008 in the Maldives on a family holiday and loved every second of it! After school, Joe decided to head to Byron Bay for a couple of months to pursue a career in diving and to further his diving qualifications. After going all the way up the ladder and becoming a PADI Divemaster, Joe had fallen in love with scuba diving again and knew he couldn’t go back to a “normal” job, so decided to stay in Byron and work as a Divemaster! In 2018, Joe decided to take it all a step further and signed up for his IDC on Gili Trawangan in Indonesia to become a PADI instructor, so he could teach people how to dive. 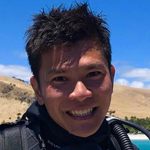 He joined the team at Diving Adelaide afterwards and loves being an instructor and meeting like minded people, who love the underwater world and are interested in exploring the same thing! Grown up in the beaches of Shellharbour, NSW as a keen surf lifesaver, Lara has always had a love for the ocean. She completed her PADI open water in Shellharbour in 2012 as a birthday present and have never forgot the feeling of my the first experience of being able to breathe underwater! After finishing high school, Lara has studied biology at university for 4 years. After graduation, all she wanted to do was get back diving in the water. 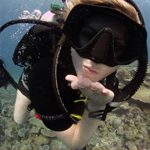 She completed her PADI Advanced Open Water Course in Cambodia whilst on a volunteer marine conservation programme. After that experience, she realised that she wanted to be a part of the diving industry, so a few months later she was jet setting to the Cayman Islands in the Caribbean where she spent months doing a dive internship going from a PADI Rescue Diver to Open Water Scuba Instructor! Although it was an intense few months, it was the best experience!! 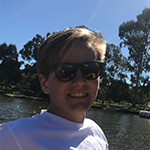 Coming back to Australia she moved from NSW to SA to start working as an instructor and is now part of the Diving Adelaide team as full time shop coordinator and instructor! 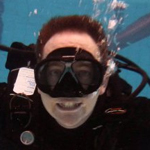 Brendan is holding the record of most certifications in South Australia within a year and is one of Diving Adelaide’s most experienced instructors. After growing up in New Zealand, Brendan loves just how warm our waters are here in Adelaide! Nowadays he spends most of his days in the pool though, being one of the founders of Determined2’s Immersion Therapy, an innovative service for people living with disabilities and injuries! Brendan enjoys being in the water 7 days a week, so don’t be surprised if you see him for a night dive at Noarlunga after running a full day in the pool or running dive courses on the weekend after a full week of immersion therapy! 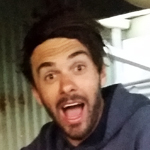 David grew up diving in Adelaide, logging his first dive at the age of 13 at The Bluff in Victor Harbor. During uni, David was bit hard by the travel bug. He took a year off, venturing overseas, keen to not only explore the world above ground, but underwater too. Some of his highlights include diving the World War II shipwrecks of the Philippines, the coral playgrounds of Thailand and diving with pelagic Sunfish and manta rays in Indonesia. In 2010, David entered into the professional world of diving. He returned to Thailand to complete his PADI Divemaster course on the tropical island paradise of Koh Tao, then continued working as a guide in Thailand’s Similan Islands, Indonesia’s Komodo, Sumatra and Gili islands and in Malaysian Borneo. David then completed his Open Water Instructor Course in Nusa Lembongan, which still remains as his favourite place in the world to dive. 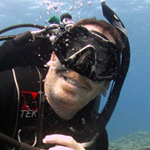 David keeps his courses engaging and fun and enjoys sharing his dive travel experiences. Above the surface, he is quite an outdoorsy person and can usually be found rock climbing, rowing, surfing, skateboarding, twirling fire or planning for his next trip overseas. Kym has been diving since 2008, but was born and bred in the water, I mean Adelaide. He has worked guiding dives at 5 star resort Hayman Island in the Whitsundays and has spent a lot of his time on the various Great Barrier Reef boats from Cairns and Port Douglas! 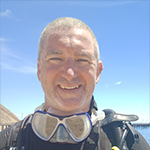 Kym is one of Diving Adelaide latest additions to the team and with experience on the west coast, far north coast and of course our own southern coast of Australia, he has a wealth of knowledge of both local, interstate and overseas (mainly Bali!) dive sites! Known throughout the industry for his energetic and passionate personality, he has a love for Adelaide’s Rapid Bay Jetty and the Ex-HMAS Hobart wreck, but his all time favourite Australian dive site is Queensland’s 125+ year old Yongala shipwreck (go check out the massive green sea turtle that he says gave him cuddles and kisses – ask him about it at the dive centre, he’ll tell you all about it)! 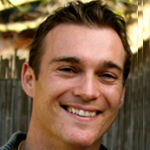 Grant grew up diving in South Australia and has dived most South Australian dive sites. Grant is thé expert when it comes to diving in South Australia. If you’re after more information on a specific South Australian diving area (especially the Victor Harbor area) Grant can inform you about all the best spots! Grant has a real passion for diving historical shipwrecks, and has not only dived the great ones here in SA like the Clan Ranald, but loves diving overseas to explore them. Truk Lagoon is one of his favourite trips and Grant can tell you all about the amazing historical background of each and every shipwreck. Other than Truk, Grant has been on some amazing overseas diving trips like Christmas Island, Vanuatu, Fiji, Thailand, Borneo, Bali, and Malaysia. You’ll most likely encounter Grant teaching Advanced or Specialty Courses like the Deep and Wreck Specialty course. Born an Aquarius, fondly known as “The Water Bearer”, the ocean is home for instructor Bee! Bee (ScuBee) has been diving for more than 10 years. Since then, he has been involved in many different roles within the diving industry both locally and internationally. Today, as a PADI Instructor, he also enthusiastically teaches dive courses and guides fun divers, continually sharing his knowledge and experience about the ocean and marine creatures. Bee enjoys the outdoors and nature, especially leisure and adventure diving to explore the underwater world – the natural habitat of millions of species. Having said that, he always ensures all guided dives and PADI courses are educational yet filled with lots of fun and excitement. His philosophy is “70 percent of the earth is made out of the ocean, so let’s enjoy both worlds”! Born and bred in Adelaide, Nick moved to Cairns a few years ago to live the good life and enjoy the tropical waters of the Great Barrier Reef! Three years down the track, he decided to move back to Adelaide to study again and is now one of the main instructors of the Diving Adelaide team! 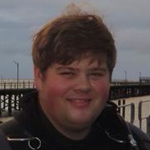 Nick has a wealth of experience with 3.000+ dives under his belt and an amazing record of DSDs and courses taught! He is in the dive shop teaching almost every weekend and you can recognise him by his big smile as he is usually the happiest instructor in the house :). On his days off he prefers to drive to Yorke’s to go for a dive on the many reefs and jetties around the peninsula, so if he isn’t in the shop, you know where to find him!! 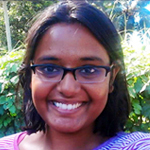 Maddy (Madhumathy), hailing from India and currently a Flinders University Maritime Archaeology Master’s student, has always been an outdoor sports enthusiast. Ever since she took her first breath underwater on her Discover Scuba Diver course, she knew immediately that diving was her calling. With immense passion for the sport and love for the ocean, she tries to involve herself in beach and ocean clean ups as much as possible. 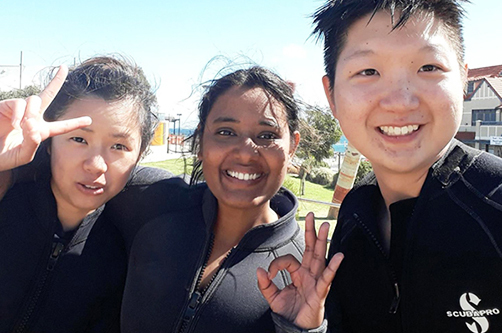 Becoming a PADI professional was a dream come true for her, as it has allowed her to work in India, the Cook Islands, Cambodia and now here with us in Adelaide. Maddy received her certifications till Divemaster in India and then travelled to the Cook Islands to finish her instructor course. Now a PADI Master Scuba Diver Trainer, she not only enthusiastically teaches courses, but guides dives and shares her knowledge as much as she can. She goes by her saying, “Who needs meditation when they can dive? Diving is therapeutic”. An ardent fan of diving, she is always up for a dive any time! 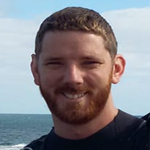 Stefan grew up in Adelaide and always had a passion for the ocean, which resulted in becoming a fanatic scuba diver and studying Marine Biology at the University of Adelaide. When Stefan completed his Open Water Instructor Course and studies, he moved to Cairns where he worked as an Open Water Instructor, where Stefan was able to use his Marine Biologist skills to educate people about the wonderful Great Barrier Reef. Always inspired by other countries and cultures, Stefan decided to travel abroad to work as a diving instructor on the beautiful Thai island of Koh Phi Phi. Spending so much time underwater led to a concern about the destruction of aquatic environments and Stefan went back to Australia where he finished his honours degree in Marine Biology. We are proud that Stefan was elected as “Our World Underwater Rolex Scholar” of 2013 and currently spends a lot of time travelling the world, participating in some amazing projects involving underwater research. Read about his experiences on the Rolex Scholarship Blog and watch some of his amazing videos on Stefan’s Youtube channel. When Stefan is not travelling the world you will find him right here in Adelaide, where he’s continuing his passion to teach people to dive and broaden their knowledge of their world underwater – you’ll know Stefan is here when you see his shiny dark blue Mini parked outside the dive shop ;). Shane came down to Adelaide a few years ago, sold his beloved motorcycle and jumped into diving with both feet (a giant stride so to say)! Shane has done a massive liveaboard up in Cairns, diving all the amazing spots up there and has dived all of the well known sites here in SA! One site is his absolute favourite SA dive site though and for good reason! Shane served on the HMAS Hobart, before it was scuttled of the coast of the Fleurieu Peninsula and became the Ex-HMAS Hobart! He knows the ship inside and out and can show you all the well-known and lesser known spots on it! Apart from the Hobart, Shane loves to dive with leafy sea dragons at The Bluff and Rapid Bay and usually takes his whole family out to dive on the weekends! His favourite overseas diving destination is Truk Lagoon! 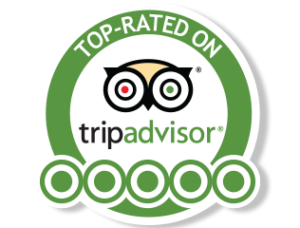 After leading the Diving Adelaide dive trip to Truk in 2015, Shane hasn’t stopped talking about getting back there and the liveaboard trip in Truk this year will be an awesome opportunity to do some more exploring! Shane is also a TQS Service Technician and looks after all our school and rental gear. Daniel learned to dive at Edithburgh Jetty on the Yorke Peninsula, so this jetty has had a special place in his heart ever since, particularly with its ever spectacular night diving. Daniel dabbles in underwater photography, cavern diving, assisting in marine projects and generally having a great time. Most of his regular dive buddies will tell you that he can usually be found with his fins up with his head in a crack searching for the unseen. His favorite dive to date was night diving the USS liberty in Tulamben (Bali), and Daniel is currently working towards diving Truk Lagoon (Micronesia) on trimix. Kris grew up in Hong Kong and has always enjoyed being in the water. Growing up as a triathlete, the ocean has been a big part of his childhood. 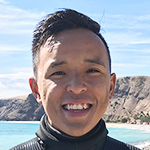 He never had the intention to scuba dive until a family trip to Anilao in the Philippines in 2015 where he got his PADI Open Water certification. The ocean fascinated him and he hasn’t looked back since. In 2016 Kris moved to Adelaide for university studies. 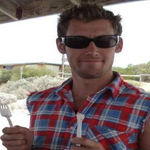 The diving opportunities in South Australia made him realise that he wanted to pursue further. He started his journey with Diving Adelaide as a student, having completed both his Advanced and Rescue courses within a month’s time. After getting some more dives under his belt, it has become more and more apparent that the ocean would be Kris’s dream office. After completing his Divemaster course with us in 2018, Kris became an integral part of the team, spending most of his time down at Rapid Bay searching for leafy sea dragons and other macro critters. Born in the Netherlands but growing up on the west coast of SA near Streaky Bay, Paul always loved the ocean, either surfing, fishing or snorkeling! Paul got his Open Water certification while on honeymoon in Koh Tao (Thailand) in 2010 and continued diving at lots of different locations throughout South East Asia. Paul didn’t get his advanced open water till 2013, but this is when his wife and he didn’t look back, completing several specialty courses and diving lots of local spots in SA! 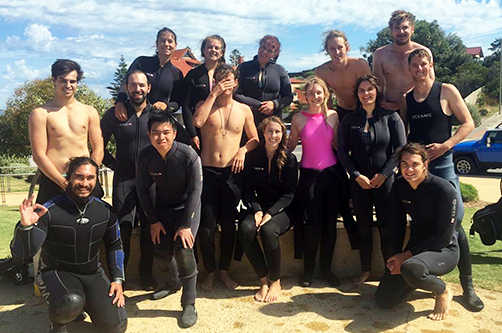 They continued on and recently completed their PADI Divemaster course with Diving Adelaide. Paul loves exploring wrecks and would like to continue with cave and technical diving. He enjoys nothing more than showing other people what South Australia has to offer. Most weekends, you will find Paul and Shelley out diving – usually looking for the little critters! Sharon learnt to dive here in Adelaide about 8 years ago and hasn’t looked back! There’s just so much to love about being underwater and not knowing just what each dive will bring. Rapid Bay remains one of her favourite dive locations with such diversity … leafy sea dragons are truly mesmerising but even without seeing one on a dive there, it is a most spectacular site. The look on divers faces the first time they dive there is such a treat! Other local favourites would have to include Edithburgh jetty, HMAS Hobart, the Star of Greece and the Dredge. 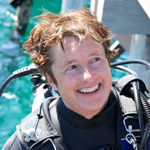 Sharon especially enjoys helping divers improve their skills and confidence underwater and running refresher courses. She is also a member of Flinders University Underwater Club and gets to enjoy some great diving with them. With a couple of awesome overseas trips coming up this year (Tulamben and Truk Lagoon!) the excitement of diving continues for Sharon!! This adventurous Australian-Swiss started diving in 2013 as a hobby for non-surf days between snow seasons. Briony was instructed by some of our best (Kym and Grant). Diving quickly became a passion and the photos Briony has taken while diving feature heavily on her photography site. 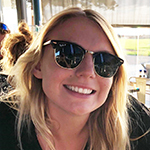 Briony has dived extensively here in South Australia including Port Noarlunga area, Aldinga area, Glenelg area, Seacliff area, Rapid Bay, Second Valley, Fishing Bay, Victor Harbour area, Edithburgh, Port Hughes, Whyalla, Tumby Bay and Mount Gambier. She has also dived most of our local wrecks including HMAS Hobart, Star of Greece, the Norma, The John Robb, the Lumb, the Seawolf and the Dredge. She is a lover of night dives with a keen interest in sharks. Due to her adventurous spirit she is constantly investigating the lesser known dive sites and is always on the hunt for new dive sites not yet discovered. Briony has explored waters beyond our local ones, in Sydney, Tasmania, The Great Barrier Reef, Papua New Guinea and Chuuk Lagoon. The Solomon Islands will soon be added to that list as well! Briony regularly leads Leafy Seadragon Tours at Rapid Bay and has an excellent record for finding these beautiful creatures unique to South Australia. As the third Brendan on the DA team, you are more likely to hear Brendan called BT or Toohey! “Toohey” learnt to dive in the murky waters off Singapore in 2010, while teaching at an international school there. For a number of years, his diving was confined to the occasional holiday dive with his son Declan. On his return to Adelaide, he met Ron and the Diving Adelaide team through the Immanuel College scuba camp. The combination of an offhand remark by Ron and the teacher duty of care factor saw “BT” head down the path of becoming a DM in 2018. The teacher side of Toohey loves helping out on Open Water courses and seeing the progression of students from being nervous into confident about staying underwater and in developing their dive skills. As a guide, this aspect also means that he is patient and understanding of newly qualified or those who haven’t dived for a while. His favourite recent dive was a night dive at Port Noarlunga with Divemaster Kris where they saw about ten Port Jackson sharks all together under a ledge – he hadn’t felt as exhilarated since bungy jumping! Edithburgh Jetty holds many fond memories for BT, and he loves showing visitors from all around the world the wonderful leafy sea dragons (and lots more!) at Rapid Bay. Lisa grew up in Wollongong (NSW) and spent much of her spare time at the beautiful beaches of the South (East) Coast. She learned to dive in Sydney and fell in love with the ocean and Sydney diving! After moving inland for a few years, she moved to Adelaide and hasn’t looked back! Most of Lisa’s weekends are spent in the water, exploring all the wonderful dive sites South Australia has to offer! In 2015 Lisa decided to take her diving further and completed her Divemaster training so she can share her love of diving, the ocean and all the amazing creatures with other divers! Her favourite dive spots are Edithburgh Jetty, the Solitary Islands (where tropical meets temperate) and Eaglehawk Neck in Tasmania, which she visited recently! With the Ningaloo in WA, Lembeh, Tonga, PNG, The Philippines and the Red Sea still high on the bucket list, Lisa still has heaps to explore and with her passion for underwater photography, we’re sure the bucketlist will be ever growing! 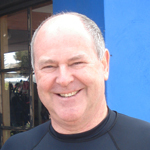 It has been almost 20 years since Rob learned to dive, and since then he has dived most dive sites in South Australia. Those are not only the well-known dive sites, but include anything you could think of diving! During those years Rob has developed a keen eye for spotting critters. Even those perfectly camouflaged creatures like Warty Prowfish, Anglerfish, Pyjama and Dumpling Squid, Seahorses and Leafy Seadragons are not able to hide from Rob. It is therefore not more than normal that Rob developed a huge passion for underwater photography. Rob is always looking for dive buddies so he can snap the perfect shot. Rob’s looking forward to do more overseas travel in the future, but so far his favourite dive site was Osprey Reef in the Coral Sea. After being an avid diver for so many years it was only natural for Rob to progress to Divemaster level in 2010. You might spot Rob while leading a dive or on one of our weekends away. If you are a photographer yourself and want a guide to find you the best creatures, make sure you ask for Rob Paton! Damian learnt to dive in 2009 and quickly progressed to the Divemaster level in 2011. The technical and cave diving bug then bit hard and his focus changed to cave diving in the Mount Gambier region, as well as the caves on the Nullarbor Plains. He is one of less than 40 divers to have dived the remote Burnabbie Cave in WA. His favourite dive sites include Fish Rock (NSW), Iddlebiddy Cave, Tank Cave (both at Mount Gambier) and Olwolgin Cave (WA). 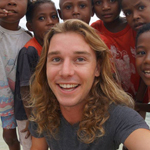 He has dived numerous ocean sites in SA and interstate and his overseas experiences include Truk Lagoon, Gili Islands, Bali, South Africa and Thailand. Damian is also involved with Flinders University Underwater Club (FUUC), where he has held multiple committee positions. 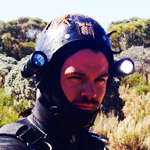 He is currently the South Australian Rep of the Cave Divers Association of Australia (CDAA) and is a gear junkie who dives both sidemount and backmount configurations and has helped many local divers with advice regarding (tec and rec) gear. If you are keen to pursue technical diving, Damian is the perfect mentor! Have a chat with him about all things tek when you see him next (probably blending gas for people for the weekend).